Academic literature on the Prevent counter-radicalisation strategy has long been dominated by negative voices. Whilst these authors have made important criticisms of the strategy, this literature has often neglected insights from those who deliver Prevent, which has left a seemingly intractable gap between critics and supporters of the strategy. To address this empirical weakness in the existing literature, this paper analyses interviews with 12 individuals employed to deliver Prevent at the local authority level, and in doing so discusses the potential for bridging this gap between critics and supporters of Prevent through empirical research. 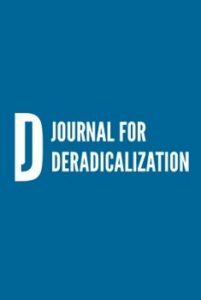 Using Donald Schön and Martin Rein’s work on policy framing as its theoretical framework, this paper presents counter-radicalisation as an ‘intractable policy controversy’ in which protagonists hold strongly-held, and opposing, views on the morality of Prevent. However, through an analysis of the interview data, the paper outlines some potential foundations for fostering meaningful engagement between critical and positive voices that need not undermine the strongly-held moral convictions of either side. In doing so, the paper concludes by arguing that a different approach to analysing Prevent rooted in empirical investigation will be needed if we are to move an increasingly stale debate on the strategy forward in a meaningful way.